Leave it to Betty White to bring out the truth in just about any situation! 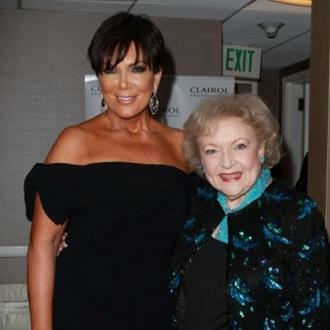 The 91-year old star chatted up Kris Jenner recently at the Daytime Emmy Awards and Kris had a lot to say about Kim Kardashians’ baby daddy, yes Kanye West! Of course Kris instantly used the conversation as a business platform. She invited the beloved spitfire to be a guest on her upcoming talk show! The real dirt here, according to the July 8th print edition of National Enquirer is that Betty asked Kris why Kanye West never smiles. She then joked that Kris needs to teach Kim how to make a man smile. In the moment Kris shrugged it off but according to sources the comment hit a nerve. She immediately told Kim that she agreed with the sentiment! Kanye’s chronic misery is really bad for their brand. 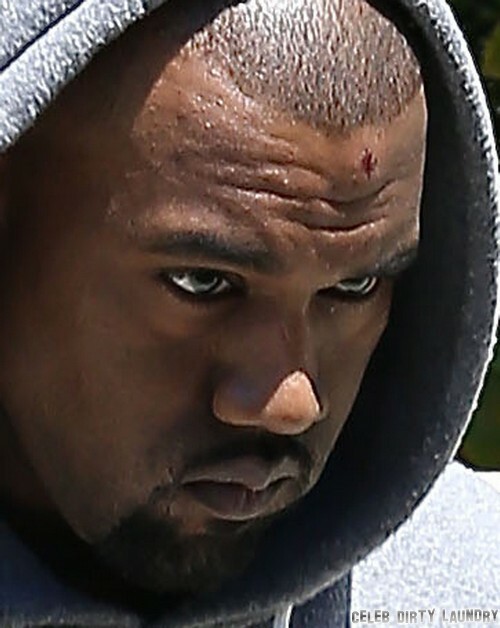 Everyone else fake smiles and pretends that life is grand – and then you have Kanye’s sourpuss. Kris thinks, maybe rightfully, that Betty’s comment carries some weight. She suggested that Kim either talk to her man about his demeanor or else do something to improve it. Let’s be real here. Kanye is Kanye and no one is going to change anything about him unless he wants it to happen. I’m sure Kim was totally offended at the notion that she can’t make her man smile but let’s look at her track record. Every relationship ends badly but not before she makes the guy regret ever meeting her (Hello, Kris Humphries!). I think Betty probably struck a nerve because somewhere in her head Kim wonders the same thing. Why can’t she find a decent guy and real love. She and Kanye may have a North West baby but he’s about to ditch out to go back to Paris and then on tour. Those things do put a smile on his face! Will Kim ask Kanye to fake it a bit better for business sake? Tell us your thoughts in the comments below! Kim Kardashian’s Baby’s Birth Filmed – Kanye West Agrees With Kris Jenner To Play It On TV?